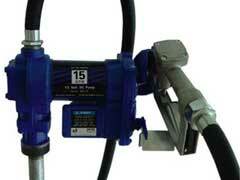 Fuel Transfer Pump - Top 5 Brands To Consider! The first is knowing what type of fuel your vehicle requires. If your ride has a diesel fuel system you’ll want to buy a fuel transfer pump made exclusively for this type of fluid whereas if your car takes regular gas you’ll want to find one that is suitable for it. Along with fuel type, you will also want to comparison shop between brands and fuel pump prices as this can help you determine the best deals. There are many websites that carry the top brands at affordable prices. Here is a look at the five best brands. Fill Rite makes a great Diesel fuel transfer pump. This tool is perfect for any vehicle that houses a diesel fuel injector. The kit comes with everything you need to make a quick and simple transfer. Troy makes quality models that tout quick transfer through a self-priming motor. Along with quick use this comes with a pickup tube that can accommodate a wide variety of tanks and drums. Tuthill develops the highest quality grade transfer components for drivers. Some of the many features these have is an explosion-proof motor and built-in check valve. Customers will love the ease of use and safety products from Tuthill have. GPI makes some of the best transfer systems available to drivers. Their pumps include motors that have an overload protect feature and suction pipes that are adjustable thereby giving customers a variety of ways to transfer their fuel. Lastly, a Fass Fuel system combines the best in innovative features with design to provide drivers with the best products. Their kits come with an air and water separation system, which will remove the air vapor from the fuel. Further, these are built to last with many models from their HD series having a 13,000-15,000 hour life expectancy. These are the best brands to buy a fuel transfer pump from. Each has many innovative features that can help you get the job done quickly and safely.